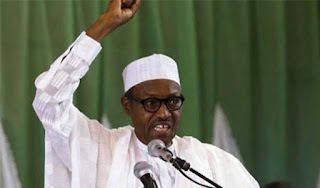 President Muhammadu Buhari says he will deal with any government official who is found guilty of pilfering public funds, regardless of the person’s religion or ethnic group. The president said this on Friday when he received an All Progressives Congress (APC) delegation from Benue state, led by senator George Akume, at the presidential villa, Abuja. He said the government had made significant progress in diversifying the economy by investing in agriculture and encouraging more individuals and entrepreneurs to go into farming. Buhari noted that the killings across the country, including in Benue, Zamfara and Taraba, were carried out by “ungodly’’ people who had no religious or ethnic inclination. “We know about herders. The ones we knew carried sticks, and sometimes cutlasses to cut foliage for their cattle,” he said.